Have your kids ever made an in-app purchase using an Apple iPhone, iPad, or iPod touch without your consent? If so, you could be entitled to a piece of a $32.5 million settlement announced today between Apple and the Federal Trade Commission (FTC). According to the feds, “Apple violated the FTC Act by failing to tell parents that by entering a password they were approving a single in-app purchase and also 15 minutes of additional unlimited purchases their children could make without further action by the parent.” It seems that plenty of kids were smart enough to discover this loophole. In some cases, unwitting children wound up charging thousands of dollars worth of in-app purchases to their parents’ cards. Under the terms of the settlement, Apple will be forced to offer full refunds upon request for charges that were made by children. Details on how to file a claim are not yet available. We’ll bring you more information on this when we can. 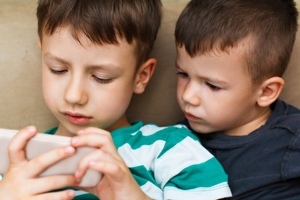 In the meantime, if you have kids, Techlicious strongly recommends putting limits on their ability to make purchases on smartphones and tablets without your permission. Check out our primer on disabling in-app purchases for more information on how to do so.